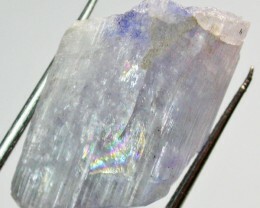 This is a rough specimen from Tanzania Africa.There is also some mica in the specimen. 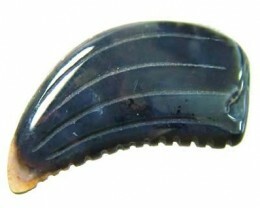 Size 22 x 14 x 8 mm app. 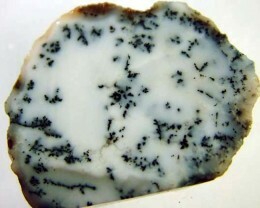 This is only specimen material-if you want a higher grade stone visit our sister store on this site at QUALITY ROUGH. 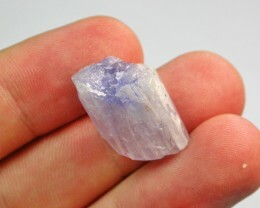 Tanzanite is an extraordinary gemstone. 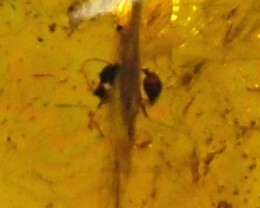 It occurs in only one place worldwide -Tanzair africa. 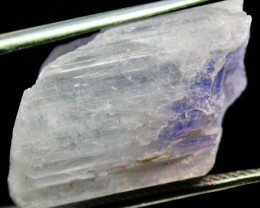 Its blue, surrounded by a fine hint of purple, is a wonderful colour. 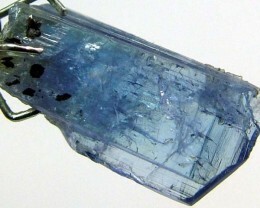 Thanks to its unusual aura and the help of the New York jeweller's Tiffany, it has rapidly become one of the most coveted gemstones in the world. 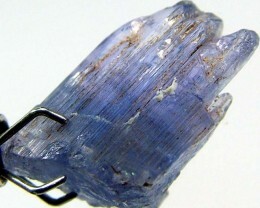 Tanzanite is a blue variety of the gemstone zoisite. 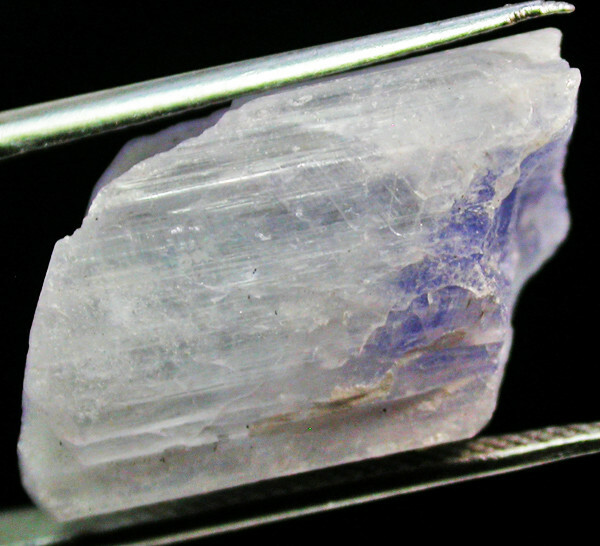 It consists of calcium aluminium silicate and is not particularly hard, having a value of 6.5 to 7 on the Mohs scale. For that reason, it should always be worn carefully and never placed in an ultrasonic bath for cleaning or brought into contact with acids. 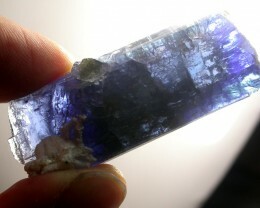 The deep blue of the tanzanite is fantastic, and runs from ultramarine blue to light violet-blue. 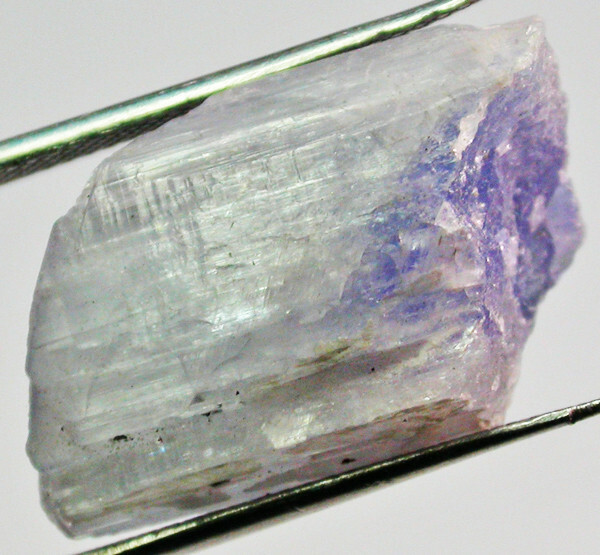 The most coveted colour is a blue surrounded by a delicate hint of purple, which has a particularly wonderful effect in sizes of over 10 carats. 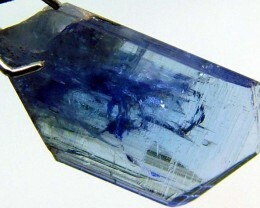 The well developed polychromaticity of the tanzanite is typical: depending on the angle from which you look at it, the stone may appear blue, purple or brownish-yellow. 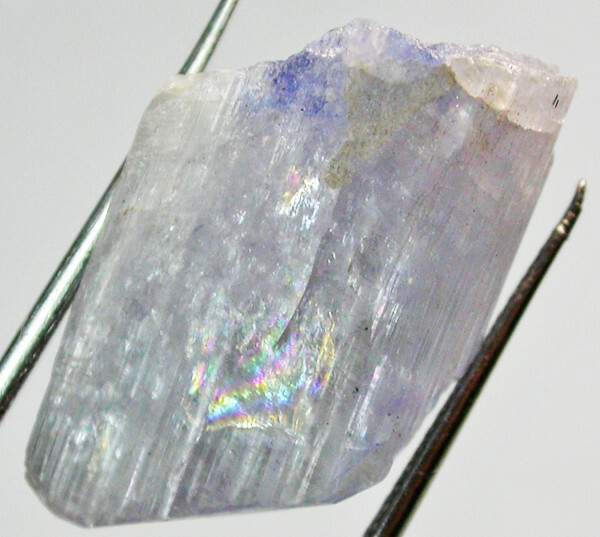 Having said that, most raw crystals are somewhat spoiled by a brownish-yellow component, though it can be made to disappear by the cutter if he heats the stone carefully in an oven to approximately 500°. During the procedure he must pay careful attention to the moment at which the colour turns to blue. 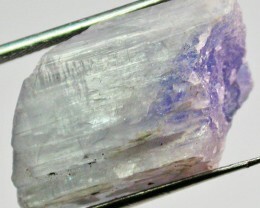 This burning is a method of treatment which is regarded as customary in the trade, but the raw stones must be as free of inclusions as possible, since otherwise fissures may occur. 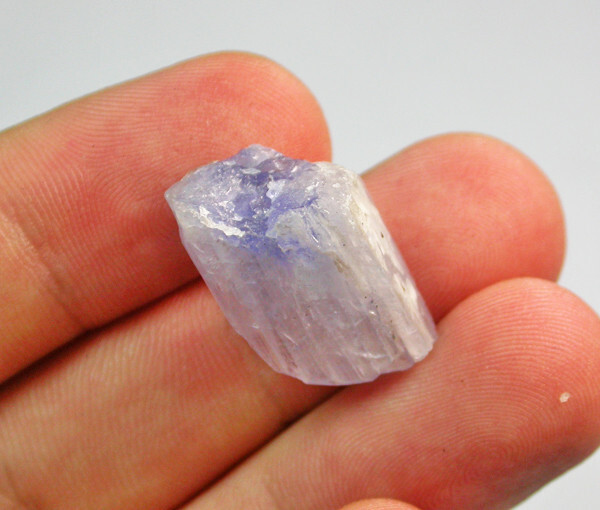 In fact working with tanzanite can sometimes give even the most experienced cutter a bit of a headache, the cleavage of this gemstone being very pronounced in one direction. 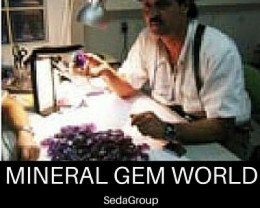 This exclusive gemstone is cut in every imaginable shape from the classical round shape to a number of imaginative designer cuts.